There has already been a lot of very good commentary across the internets and media on the notable decision in the 9th Circuit this week in the case of Jose Padilla v. John Yoo. Although many, if not most, commenters seem outraged, the decision is, sadly, both predictable and expected. I also think Marcy had about the right, and appropriately snarky, take on the decision embodied in her post title “Jay Bybee’s Colleagues Say OLC Lawyers Couldn’t Know that Torture Was Torture in 2001-2003“. Yep, that is just about right. Wheeler, Hafetz and Vladeck are all correct about the infirmities in the 9th Circuit’s version of Padilla (without even getting to the 4th Circuit’s version of Padilla, contained in Padilla/Lebron v. Rumsfeld). I was going to delve deeper into the Cebull insult of Obama case after Friday’s events, but I now have something else I need to get to, so this is a shorter take. As you will recall, the intertoobz blew up at the end of last week, starting late Wednesday, with the story of Judge Richard Cebull, Chief Judge of Montana’s US District Court, and his email distributed slur on Barack Obama. The incident was first reported by a local paper, the Great Falls Tribune, but quickly hit the national wires. I am not going to reprint the email, but it is fairly disgusting and very inappropriate (you can see it in the original form here). Numerous outraged individuals and organizations immediately called for Cebull’s resignation. David Dayen has a rundown on some of the loudest, as well as of Cebull’s “explanation/apology”, which has not been accepted to well by those calling for Cebull’s head. And, while Cebull’s statement is indeed less than exculpating, it is pretty much all he could say under the circumstances. Unlike Rush Limbaugh, at least Cebull had the guts to own up to the full weight of his act, even if concurrently inferring “heck I thought it was private”. You can quibble about whether the “joke” was directly racist, or only indirectly racist in overtone, and I can see both sides of that argument; however, there is no denying that it was in unconscionably bad taste and completely inappropriate for a federal judge to be trafficking in. That’s a given. I am, at this point, far more interested in Cebull’s response which, all things considered, I find pretty crafty. I sincerely and profusely apologize to you and your family for the email I forwarded. I accept full responsibility; I have no one to blame but myself. I can assure you that such action on my part will never happen again. 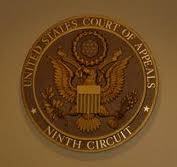 I have requested that the Judicial Council of the Ninth Circuit review this matter. Honestly, I don’t know what else I can do. Please forgive me and, again, my most sincere apology. Goodwin Liu’s bid for a federal judgeship may be headed for a crucial vote this week, in what would be the biggest fight yet over any of President Barack Obama’s nominees for the lower federal courts. Senate Majority Leader Harry Reid (D-Nev.) is considering filing a cloture petition as soon as tonight, a spokesman said. That would set up a vote later this week on whether to end debate on Liu’s nomination, a motion that needs the support of 60 senators to pass. The Democratic caucus controls 53 seats, so they would need Republican help to defeat a filibuster. Prior to adjournment on Tuesday, May 17th, Senator Reid filed cloture on Executive Calendar #80, Goodwin Liu, of California, to be United States Circuit Judge for the Ninth Circuit. Senators should expect a roll call vote on the motion to invoke cloture on the Liu nomination to occur at a time to be determined on Thursday. This is a fairly astounding happening as Liu was first nominated to the 9th in February of 2010, but the nomination died at the end of the 2010 session from lack of even an attempt to call for a floor vote. President Obama promptly renominated Liu, and he was again promptly reported out of the Judiciary Committee on a straight party line vote, but it appeared as if the nomination would be again be left to die a quiet death. Apparently not. If you do not know about Goodwin Liu, you should. Liu is quite arguably the brightest and most accomplished young legal liberal star in the universe. He is the future of any liberal hope on the Supreme Court; like Antonin Scalia or John Roberts on the right, Liu is the future legal heavyweight for the liberal future. At only 39 years of age, Liu’s resume and record of accomplishment, service and involvement in the law makes Elena Kagan look like a malnourished piker. He is literally that good and valuable for the future, Liu is worth fighting for tooth and nail. For a great look at Goodwin Liu the man and scholar, take a look at Bob Egelko’s in depth biography from the San Francisco Chronicle. So Goodwin Liu is set to get a floor vote on cloture Thursday, and if that threshold can be passed, he would look good on an up or down vote for confirmation. That is the good news. The bad news is, unless Harry Reid and/or the Obama White House have cut some kind of deal to get Liu through, there is little, if any, chance his nomination can muster the 60 votes necessary for cloture. And, despite some fast checking this afternoon, I can find no evidence of any such a deal having been cut or even discussed. We will know by Thursday night whether Harry Reid and the Obama White House actually had a plan to get Goodwin Liu through and confirmed, or whether they just want the issue done and over with. One thing is for sure, it will not happen unless there is a plan and they have whipped some GOP support for cloture. Will Reid and Obama be heroes or goats? Stay tuned. Last night (Tuesday October 19), Central District of California Judge Virginia Phillips entered her order denying the Obama DOJ motion for stay of her surprisingly broad worldwide injunction against enforcement by US Military of the DADT policy. Here is a report from Josh Gerstein at Politico on Phillips’ decision. As expected, the DOJ has appealed Phillips’ denial of stay to the 9th Circuit, and did so already this morning. Here is the full main brief submitted in support of the motion for stay. The Administration does not support § 654 as a matter of policy and strongly believes that Congress should repeal it. 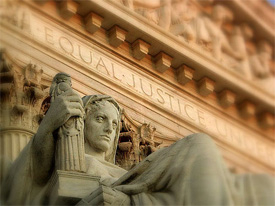 The Department of Justice in this case has followed its longstanding practice of defending the constitutionality of federal statutes as long as reasonable arguments can be made in support of their constitutionality. That is positive. What is very troubling, however, is that the Administration, by and through the DOJ never – never – indicates that it considers DADT to be unconstitutional on its face. Every objection by team Obama is in favor simply of study and legislative repeal; and, in fact, they doggedly protect the constitutionality of DADT. There is a HUGE difference between the two concepts of saying it is simply something that should be fixed by Congress (increasingly unlikely, it should be added, in light of the massive gains conservative Republicans are poised to make) and saying the Administration fully believes the policy unconstitutional and invidiously discriminatory (the position Obama blatantly refuses to make). It should also be noted that a refusal to acknowledge the fundamental constitutionally discriminatory nature of DADT is also entirely consistent with the recent history of Obama Administration conduct and statements on the issue. Whether it be Obama himself, official spokesman Robert Gibbs or Valerie Jarrett, every time the direct question on constitutionality of DADT is raised, it is deflected with a flimsy response framed in terms of Congressional repeal. At this point, you have to wonder if Barack Obama and his Administration even consider the blatant discrimination of DADT to be of a Constitutional level at all; the evidence certainly is lacking of any such commitment.